For me, the sweetness of the beetroot, the saltiness of cheese and the texture of the pine nuts create contrasts made in culinary heaven. Beetroots are also a great source of anti-oxidants so they are always a good ingredient to have on your menu, especially in today’s more health conscious society. I would recommend only working with fresh beetroots, the difference in flavour is remarkable. 1. To cook the beetroots place on a tray on a bed of sea salt and bake at 150 degrees for 2 hours or until soft and tender. The reason we cook on a bed of salt is to extract all the water from beetroot. When cooked allow to cool, peel and slice. 2. Finely slice the fennel on a mandolin and plunge into iced water, this will help the fennel stay crisp and give some texture to the salad. 3. Place the pine nuts on a baking tray making sure that the nuts are spread out evenly. Bake in a oven at 180 degrees until golden brown. 4. Peel and segment the orange. 5. To make dressing pour the balsamic in a bowl and whisk in the rapeseed oil, season with salt and pepper. 6. To plate place the sliced beetroot in the centre of a bowl, crumble some of the cheese over the beetroot. Toss orange, fennel and the remainder of the cheese with rocket, dress with balsamic and rapeseed oil dressing. Scatter the toasted pine nuts around the plate. This is a tricky dish to pair but I believe this wine can hold up to all the elements from this delicious and refreshing salad. On the nose this wine is packed with beautiful floral, peachy notes as well as fresh apples, pears and grapes. The fruity floral notes follow onto the palate along with some light honeyed touches. The lees aging has given this wine a great body and texture that will hold up to the citrus, sweet and liquorice flavours from this super salad. Gareth is responsible for all menu design and food preparation in The Marker Hotel’s four kitchens which covers the Brasserie, the Rooftop Bar and Terrace, the Marker Bar and in-room dining. 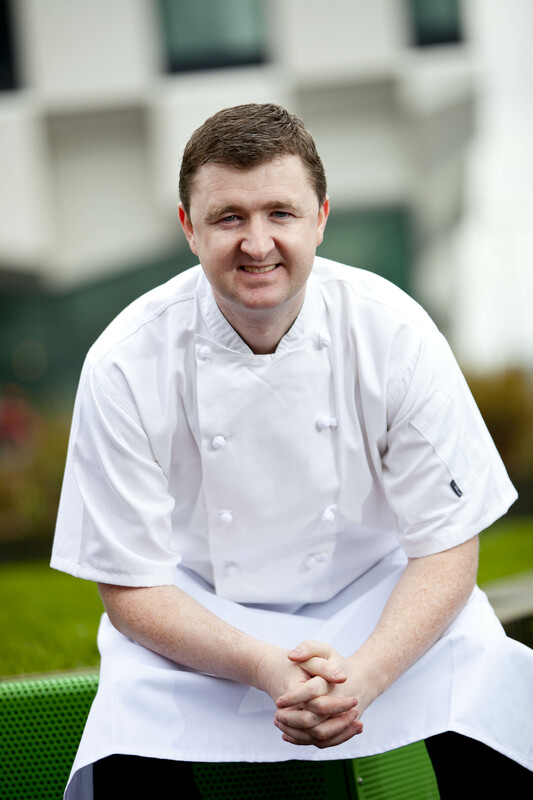 With over 16 years’ experience cooking in five star hotels in Ireland and Australia, Gareth spent seven years in the Merrion Hotel, where he was Head Chef in The Cellar Restaurant & Bar. During his tenure at The Cellar, the restaurant received two AA rosettes and the bar was recommended in the Michelin Guide. The Brasserie at The Marker has also recently been awarded the accolade of two AA rosettes under Gareth’s leadership. For more information visit www.themarkerhoteldublin.com.